Group outing and flex tickets will go on sale late spring/early summer 2019. Single game ticket information coming soon! Single game tickets can be purchased online by clicking here or visiting the Trusted Choice Box Office during regular business hours. WHAT NHL TEAM ARE THE MARINERS AFFILIATED WITH? 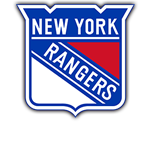 The Mariners are a proud affiliate of the NHL’s New York Rangers and AHL’s Hartford Wolf Pack. Read more about the Mariners affiliation by clicking here! I AM INTERESTED IN WORKING FOR THE TEAM. HOW CAN I APPLY? We are currently building our team now. For open positions click here. We will be updating these throughout the year, continue to check back for more job opportunities. I AM INTERESTED IN BECOMING A SPONSOR FOR THE TEAM. HOW CAN I DO THIS? I AM COMING TO A GAME. WHERE CAN I PARK? The Spring Street Parking Garage is adjacent to the Cross Insurance Arena. Parking is available in this garage for patrons with disabilities. The Spring Street Garage is managed by the City of Portland and rates vary depending on events. Please call (207) 874-2842 for rate information. There is a privately owned parking garage across Spring Street next to the Holiday Inn by the Bay and a large parking lot located at the corner of Spring Street and Center Street. Although the privately owned lots are open for most Cross Insurance Arena events, they may not be open for all events. Rates vary depending on the event and are controlled by the property owners. For more information, visit the Portland Downtown District’s parking web page. Mariners games on average last about 2.5 hours from the start of the game to end. Gates open 1 hour and 15 minutes before puck drop for season ticket members and 1 hour before puck drop for all other ticket holders. The Mariners do not allow purchased tickets to be exchanged for a different date. Only season ticket members have the ticket exchange privilege. Mariners merchandise is sold on the concourse behind Section K with a limited amount of merchandise sold in the Mariners offices at 94 Free Street in Portland during regular business hours Monday-Friday 9 am-5 pm. I WANT TO BRING A GROUP TO A GAME, HOW DO I GET THE GROUP DISCOUNT? For more information on group outings and additional group opportunities at Mariners games visit the Group Outings page by clicking here. AV equiptment or professional grade cameras unless a media credential is possessed. All Mariners games are staffed with Maine licensed EMTs. Arena staff is trained to manage medical emergencies, treat minor injuries and make appropriate decisions regarding activation of the 911 system. The Cross Insurance Arena is equipped with an Automatic External Defibrillator (AED) accessible by our medical staff. Guests should contact the nearest Cross Insurance Arena employee to activate our medical staff. We acknowledge the special needs and challenges of some of our guests. Guests requiring special needs should notify the Trusted Choice Box Office or their assigned Mariners ticket representative of those needs when purchasing tickets. Please call (207) 775-3458. Our staff will make every effort to provide the best available seat appropriate for any specific need. We have a team dedicated to ensuring our guests with special needs can attend Mariners events without worry and maximize their experience. Our special assistance team is available at all events and can assist guests to their seats upon request. We pride ourselves on making our events available to any guest who wants to attend. Please make requests for special services a minimum of two weeks prior to an event. Every effort will be made to accommodate requests made less than two weeks prior to an event, but accommodation cannot be guaranteed. Parking for patrons with disabilities is available in the Spring Street Parking garage adjacent to the Cross Insurance Arena. All Cross Insurance Arena main entrances are now ADA accessible.